Time was when the world faced a financial crisis as fundamental as the one confronting us today. That earlier episode – I am referring of course to the onset of the Great Depression – had grave consequences for the global economy, not to mention world politics, as we sadly know. Influential economists today are warning that, if European leaders do not quickly develop credible proposals to resolve the ever-intensifying Eurozone crisis, the consequences for the global economy may match or even exceed those of the Great Depression. But credible responses often also entail “more Europe,” if not in the form of Eurobonds, then perhaps something approaching them in substance, by authorizing European institutions to increase the joint and several liabilities of the Member States for the debts of insolvent or illiquid economies in the Eurozone. This may include some combination of dramatically augmented authority for the European Central Bank (ECB), more overhaul to the European Financial Stability Facility (EFSF), or perhaps some kind of Eurozone bank fund and resolution authority. All will require greater delegations of power to the supranational level as well as increasing strains on existing (necessarily national) mechanisms of democratic oversight and control. So the question that strongly pro-Europeans might pose at this point is this: In a world where ever increasing “integration” is no longer simply an elite dream (as it long was in “good” times) but rather is today a functional demand arising out of a colossal financial crisis with extraordinary risks for the European and global economies, can Europeans any longer cling to their older cultural commitments to democracy and constitutionalism grounded in the nation-state? Something, they might say, has got to give. What these statements suggest is that “more Europe” is almost certainly in the offing. In other words, functional demands will prevail in this moment of acute crisis, leading to necessary extensions of supranational authority. But will this means “Federal Union Now,” as advocated by Duff and his friends at the Federal Trust? Almost certainly not. Institutions do not just evolve as a function of the problems they seek to solve (a long held “functionalist” fallacy). Institutional change must also conform, as much as possible, to cultural conceptions of legitimacy that prevail in a given society. Politics is the battleground where functional demands and cultural commitments must be reconciled, where parties seeking new institutional configurations and those defending old ones mobilize their competing claims. Duff’s “Federal Union Now” strikes me as the most unlikely outcome in this contest precisely because it is in such clear defiance of prevailing cultural commitments to national democracy, not just in the UK but throughout Europe. A somewhat more likely scenario is arguably emerging out of the realist wing of Euroscepticism, from such groups as the think-tank Open Europe. In a report written by Anthony Browne and Mats Persson, Open Europe is advancing the case for what it calls “EU localism.” Their proposals will almost certainly not be adopted in all or even most of their particulars. 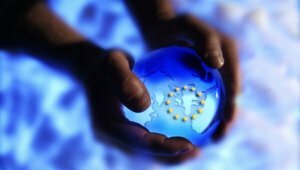 But the report nevertheless provides a realistic sense of the overall future direction of European governance. As a quid pro quo for the extension of supranational authority to address the Eurozone crisis (suitably ring-fenced to that domain, hopefully ensuring stability over the long term), concessions in other areas of EU governance will almost certainly become necessary. Some of these may build on the Lisbon Treaty’s effort to invigorate the role of national parliaments in the integration process (e.g., Protocols 1 and 2 to the Treaty of Lisbon). Others might add a new court to oversee the European Court of Justice on questions subsidiarity and Kompetenz-Kompetenz (I have argued for a similar “European Conflicts Tribunal” in an article published in the Columbia Law Review as well as in my recent book). Still others may include the increasing use of opt-outs and other forms of regulatory flexibility. No doubt, there will be opposition to many of these institutional reforms, just as there long has been, because they cut strongly against the grain of the old ideal of “ever closer union.” But they are also entirely consistent with what was supposed to the EU’s new slogan: “unity in diversity.” In exchange for Eurosceptic support for extending supranational authority to address the Eurozone crisis, other institutional reforms consistent with strengthening the national foundations of integration are probable. In other words, in the struggle to resolve the Eurozone crisis, the result may be paradoxical—both “more” and “less” Europe at the same time. That is the institutional and legal price to be paid in order to emerge from the grave situation in which Europe currently finds itself. This entry was posted in Uncategorized and tagged Eurozone, Peter Lindseth by eutopialaw. Bookmark the permalink.